Our services prescribe and monitor the use of medication as one way of dealing with serious symptoms that are part of many mental health troubles. 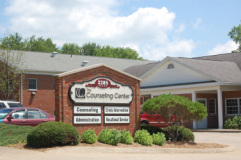 We provide these services to center clients, upon a referral from their primary clinician. In some cases, the psychiatric service program assists with medication education and the administration of self-medication. The medication use today are very effective, and a significant percentage of individuals experience a reduction of symptoms and an increase in their quality of life especially when medications are combined with other treatments.